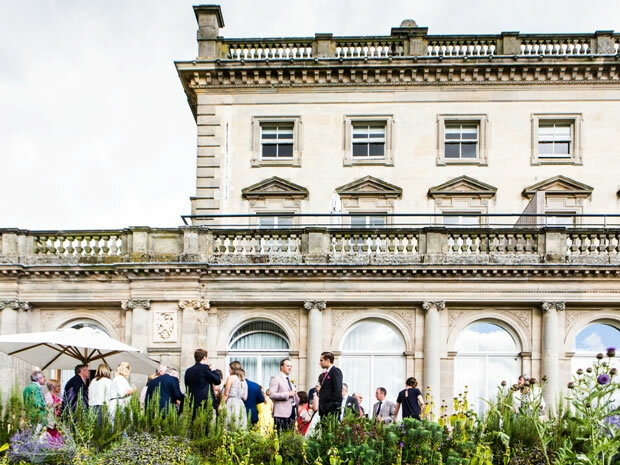 Samantha Hawkins and Darren Silverthorn fell for the modern interior and beautiful grounds of Cowley Manor where they held their summer wedding, followed by a fun-filled barbecue evening do at The Green Dragon. 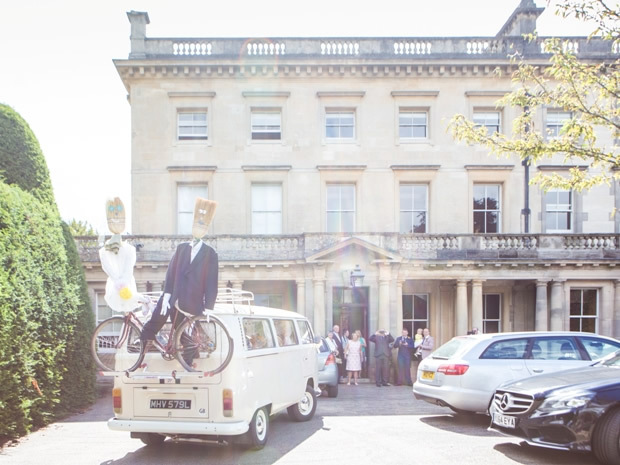 Samantha Hawkins and Darren Silverthorn tied the knot in a civil ceremony at Cowley Manor. The happy couple: Samantha Hawkins, 30, a marketing manager, and Darren Silverthorn, 33, a senior product manager executive, both from Bristol who now live in Cheltenham. 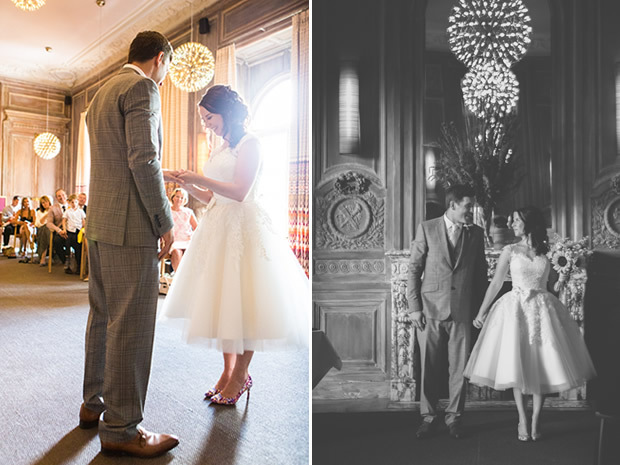 We booked our venues about 12 months in advance and we then planned the rest about six months. 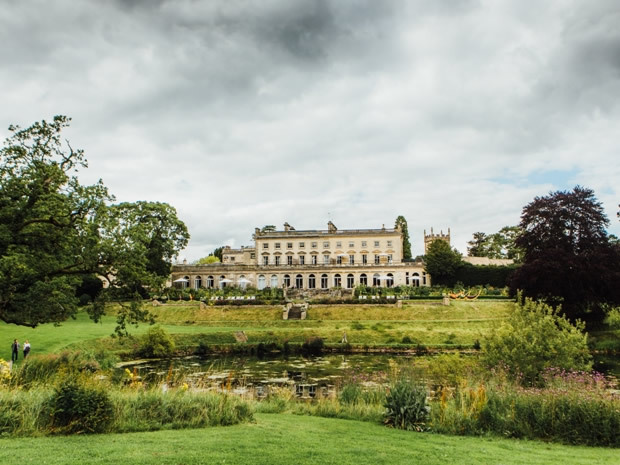 We knew we wanted to get married in Cheltenham so we visited a few venues and Cowley Manor was by far our favourite. We loved the funky interior design and the grounds are beautiful. The venue meant we could be flexible depending on the weather on the day. We didn’t really have a theme for the wedding; we knew we didn’t want anything too formal or traditional. We are both quite relaxed, outdoorsy people and we wanted our wedding to reflect us. Naomi is a friend. I love her style of photography and her attention to detail; her photos are beautiful. We decided early on that we didn’t want many staged photographs. 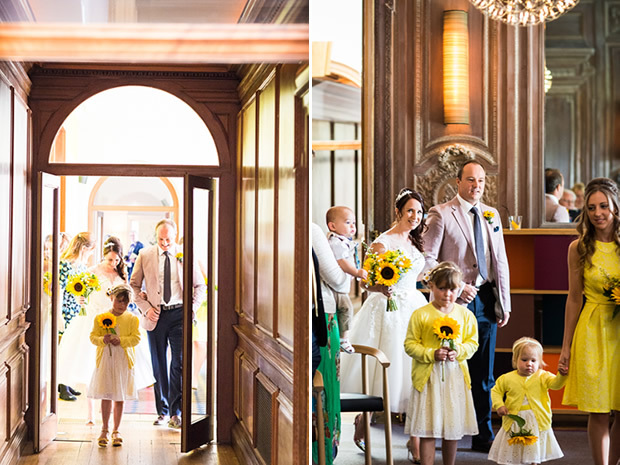 We wanted Naomi to capture the day, our friends and family so we were able to look back at our photos and remember the moments. We made most of the evening venue decorations – I spent a lot of time on Pinterest! 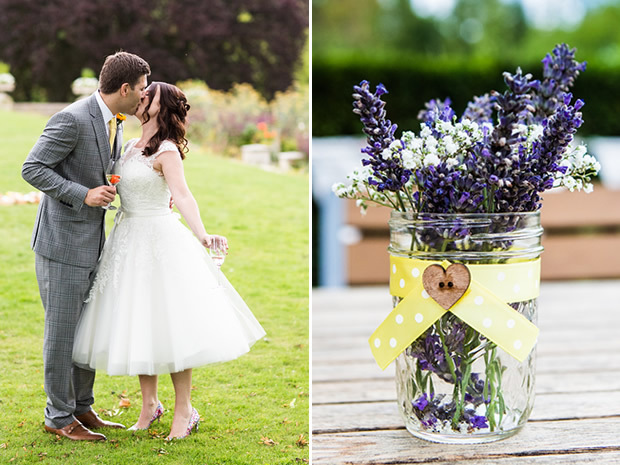 This included jam jars for the flowers and candles, table centre pieces and photo boards. Rather than a guest book we had a fingerprint tree, the picture is now on our wall at home and makes us smile! I knew I didn’t want anything too traditional and at around 5ft tall I felt that a long dress would drown me. I visited Sarah Elizabeth Bridal in Cheltenham that stocks House of Mooshki who specialise in tea-length dresses. ‘Poppy’ was my stand-out favourite. 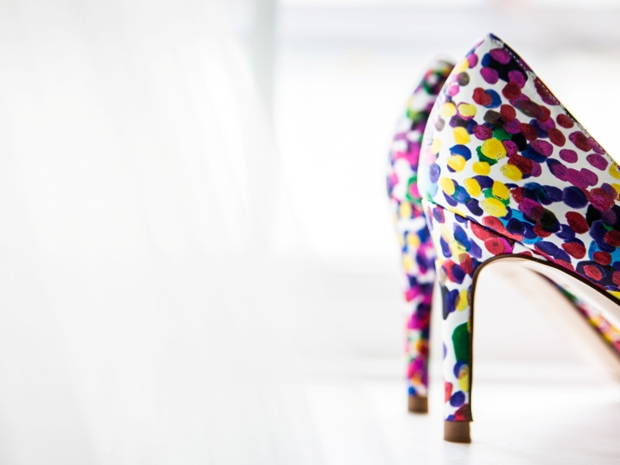 I love shoes and bought some very colourful ones from LK Bennett. Darren also wanted something a bit different. He didn’t want a formal wedding/morning suit but also didn’t want a suit that looked like any other work suit. He liked the idea of tweed or check but this can often be quite wintery. 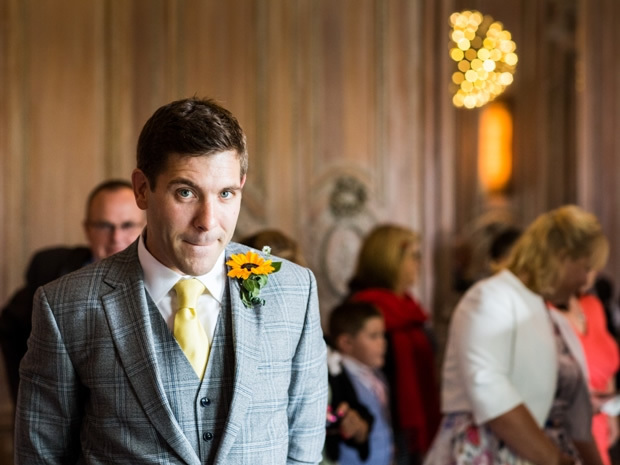 He found a light grey three-piece suit he loved in Reiss. It wasn’t a tradition I felt I needed to adhere to, although I definitely had something old and new. 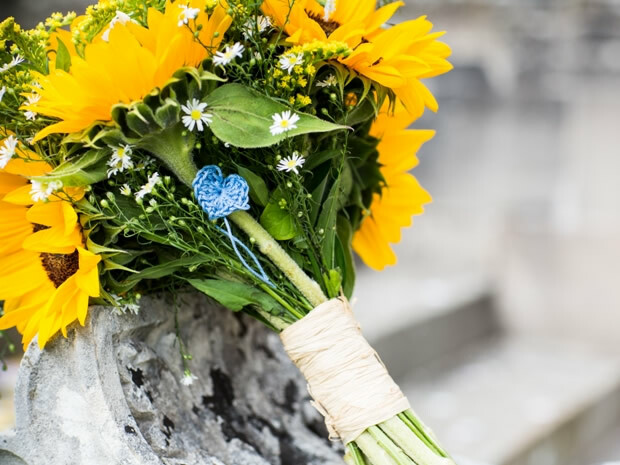 My friend Amanda stitched a blue flower in my bouquet. ‘Old Pine’ by Ben Howard. It reminds us of summer trips in our campervan and good times. We had one reading. Darren’s best friend Ben read ‘I love you because’ by Jonny Cash. We didn’t want anything too formal or traditional especially as we have eight nieces and nephews and wanted them to enjoy the day as much as the adults! 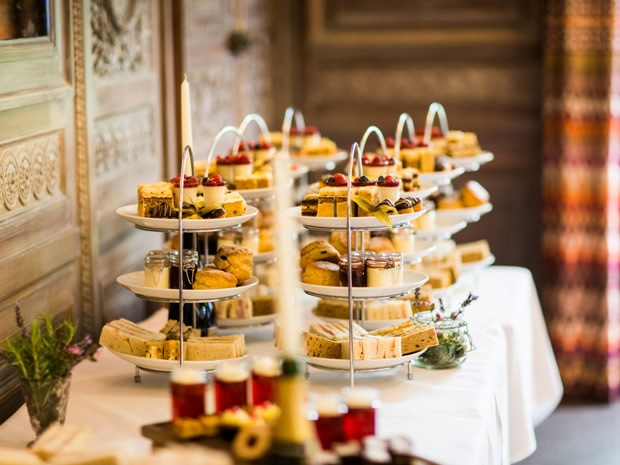 Our wedding breakfast was afternoon tea with Prosecco for the adults! For our evening celebrations we had a barbecue, and a couple of barrels of ale and cider, at The Green Dragon. 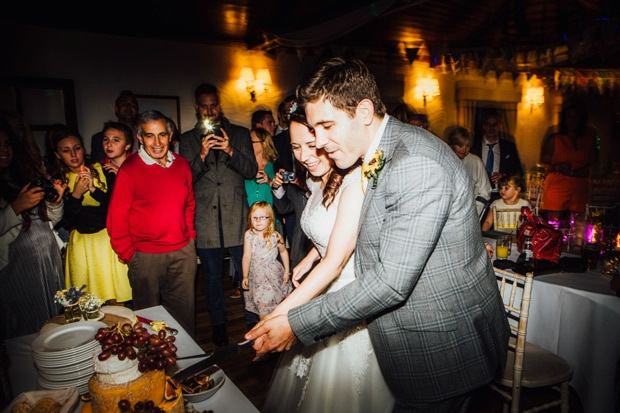 As we had afternoon tea for our wedding breakfast we choose a cheese wedding cake! 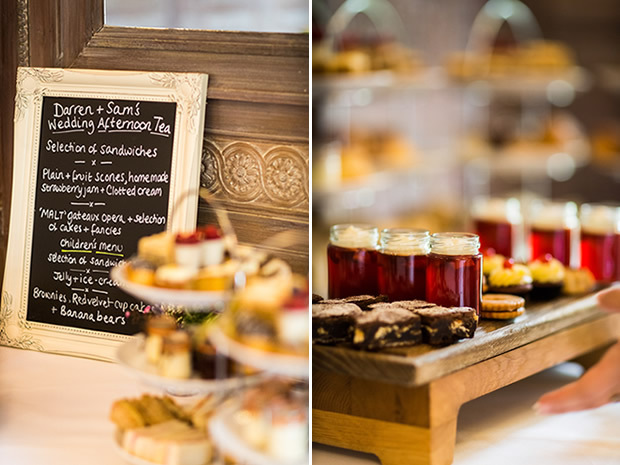 Darren loves cheese and we purchased a range of crackers and chutneys – it was very popular with our evening guests. We didn’t have one… although it didn’t take much to get everyone on the dance floor! After the wedding breakfast we all went outside on the terrace, there was a point in the afternoon where all our friends and family were enjoying being outside and in the lovely grounds of Cowley Manor. It was how we wanted the day to be and felt special. The evening party was also brilliant fun, especially when everyone was on the dance floor! Yes, pretty much! Although I did arrive too early and had to drive round the block a few times! Our friend’s classic campervan can be temperamental, but behaved on this occasion. It’s easier said than done – but don’t stress! 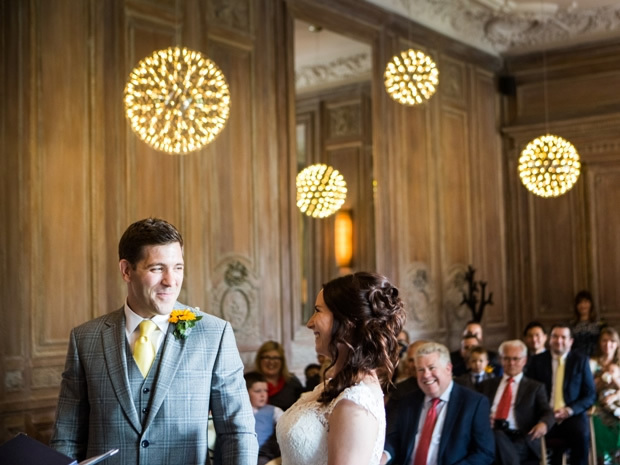 We were both quite relaxed about the day and I think it made the planning and the day more enjoyable. We spent two nights in the Scarlett Hotel in Cornwall and then two weeks later we jetted off to Mauritius for 10 days. 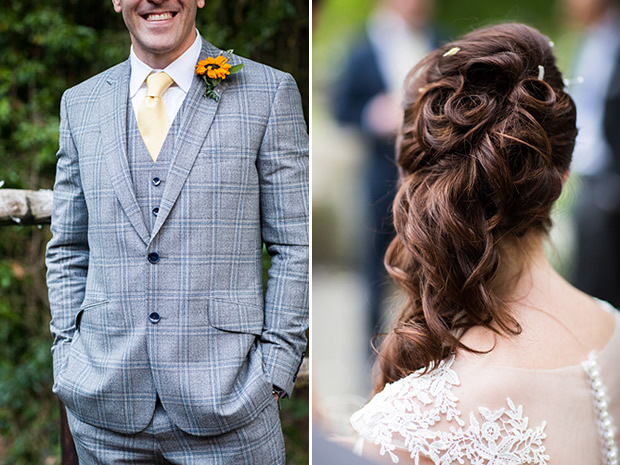 If Samantha and Darren’s relaxed summer wedding has inspired you, see Cowley Manor, and for further details about the couple's photographer, see Lush Imaging.